Have you ever travelled to discover your family’s history? Have you ever walked in the footsteps of your ancestors? Dave and I have travelled all over the world having adventures in 106 countries on all seven continents. 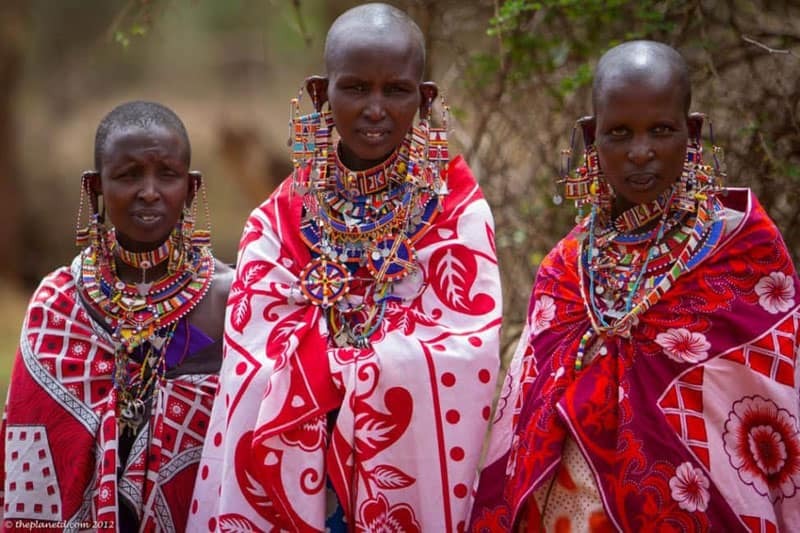 We’ve explored history in distant lands and studied cultures on foreign soil, but we’ve never really looked into what our ancestry is all about. We know a lot about other people’s heritage, but when it comes to our own, our knowledge is lacking. So when Ancestry approached us to ask if we’d be interested in learning about our heritage, we immediately said yes. We want you to discover your DNA story and we’ve arranged an exclusive PlanetD discount code for 10% off. Just follow the link http://www.ancestry.com/theplanetd to find out where you come from. 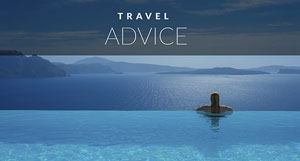 It just may inspire your travels in a different way. My mom has been fascinated with our family tree ever since she was given a copy of our history on the Westbrook side of the family. We have ties to Richard the Lionheart and there’s a lot of blue blood on my mom’s side of the family. 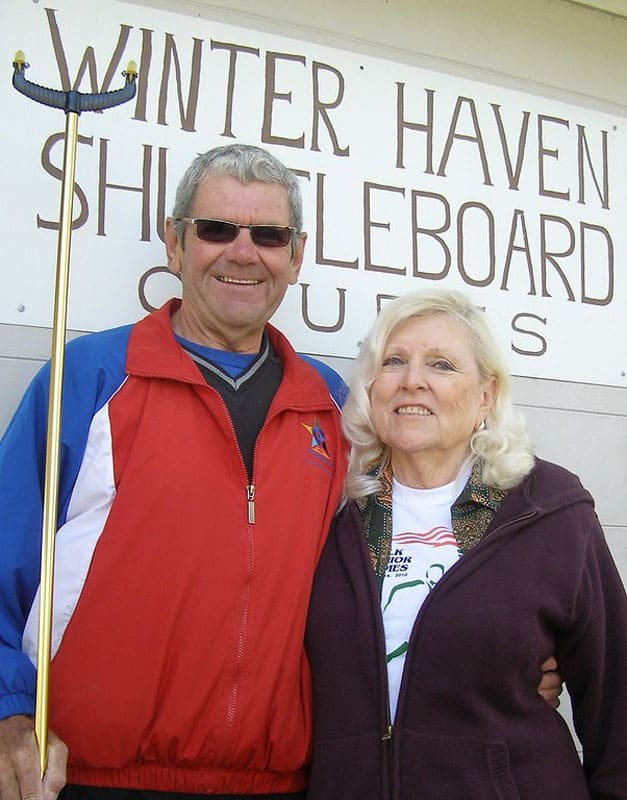 Mom and Dad met long lost relatives at shuffleboard! 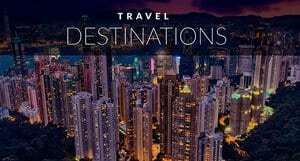 It’s fascinating to learn about family and long-lost relatives, it’s even more fascinating to travel to the places where your roots are, once you know what you are all about. Dave never knew anything about his family history. His mom was adopted and never knew her birth mother. 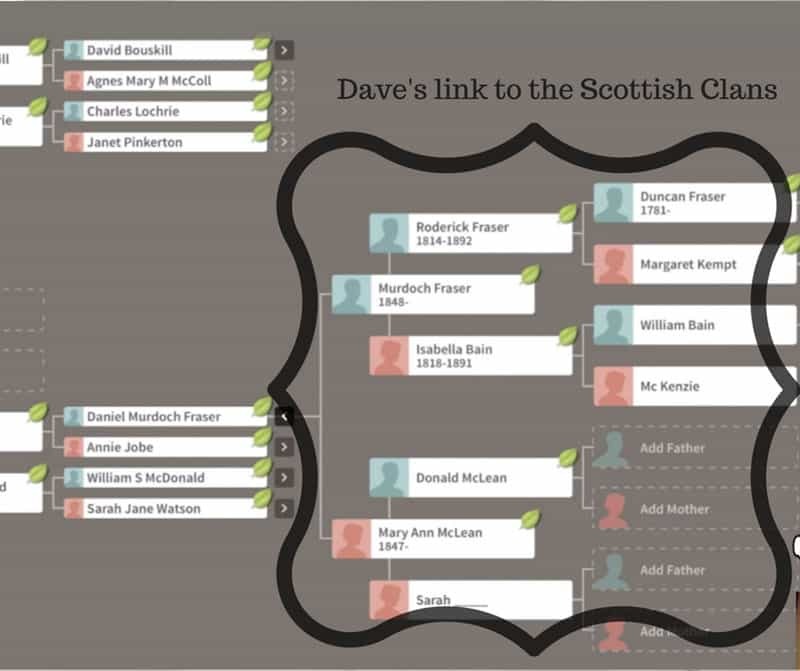 His dad’s father died when he was only 16 years old, so Dave only knew that he might be related to some people in Scotland. That was never confirmed. That is until we took our AncestryDNA tests. 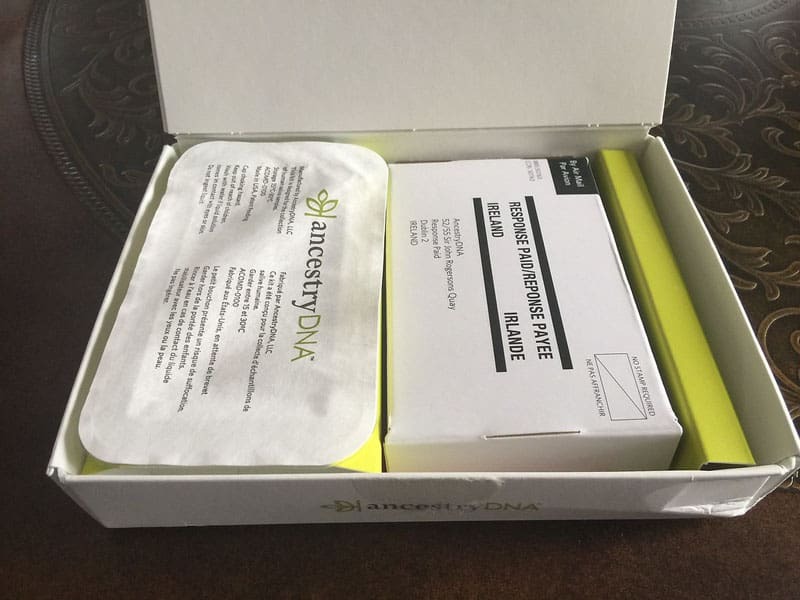 When our DNA kits arrived in the mail, we were surprised to see how easy it was. We spit into a tube, mixed it with activation fluid and then sent it back in the postage paid envelope to Ancestry. The lab analyzed our DNA to tell us which world regions our ancestors came from hundreds to thousands of years ago. A few weeks later, we found ourselves sitting on a Skype call, learning the most interesting facts about our heritage. Ancestry researchers had pieced together our DNA test results and family trees to uncover our complete family stories. We didn’t expect to find out much about Dave’s history because his mother was adopted. She never knew who her parents were. But the beauty of DNA is that Ancestry can cross-reference other people in their four million-person AncestryDNA network to find possible matches. It just so happened that someone with a DNA match to Dave took a test themselves and by delving deeper into their history, Dave not only found out who is mom’s mother is, but also learned of his entire family tree on her side. Mother's side of the family is Scottish too! Little did he know that he has deep roots in the Scottish clans on his mother’s side. He’s part of the Mackenzie and Frasier clans and his family is from Gairloch. 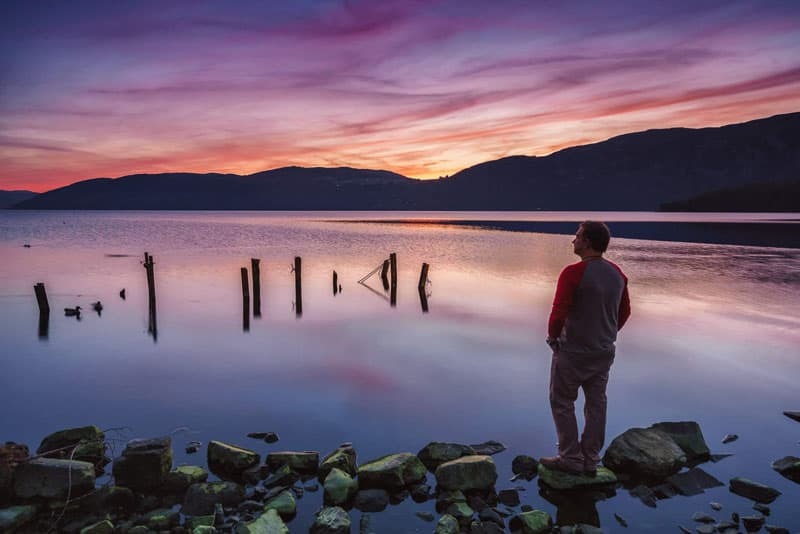 Dave visits his Ancestors Homeland – AncestryDNA let him know it was there! 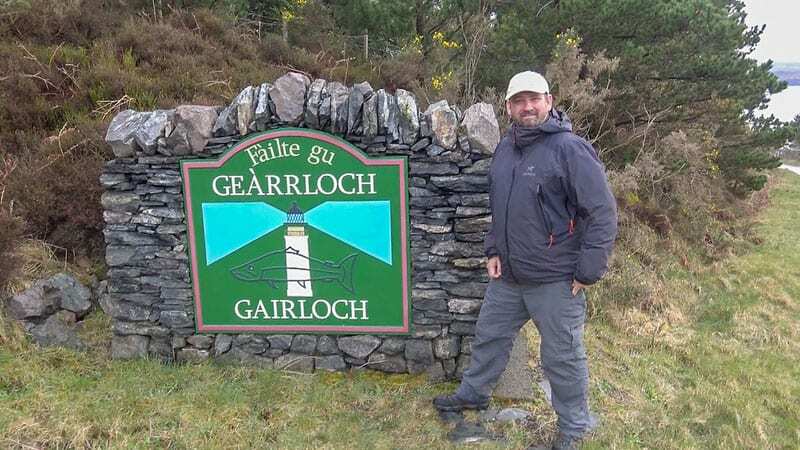 We have always believed in the mysteries of this world, and to find out that Dave’s family is from Gairloch, Scotland just days before we were to fly to Scotland to tour the North Coast 500 and stay two nights in Gairloch was to us, far more than a coincidence. This had deep meaning and we knew it was meant to be. While in Scotland, we now had new meaning to our travels. 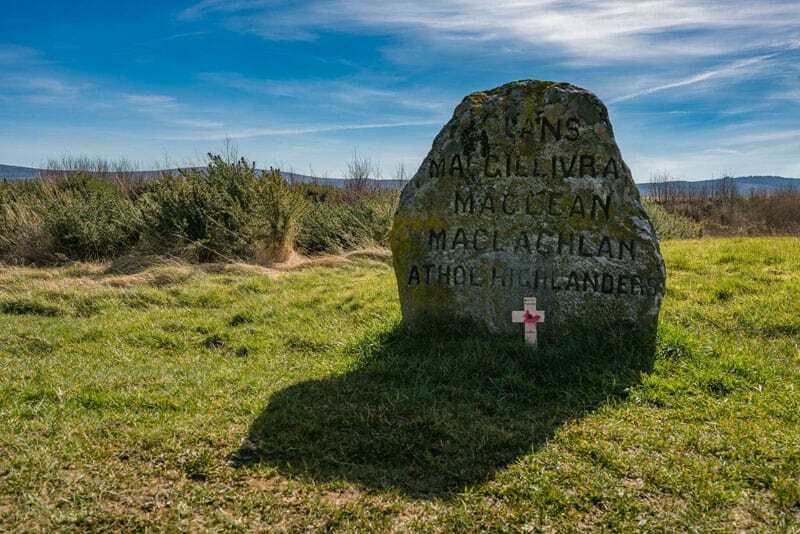 When learning of the clans fighting in the battle of Culloden or finding out that the Mackenzie’s founded Gairloch we felt more connected to the story. This was after all, a part of Dave’s history. 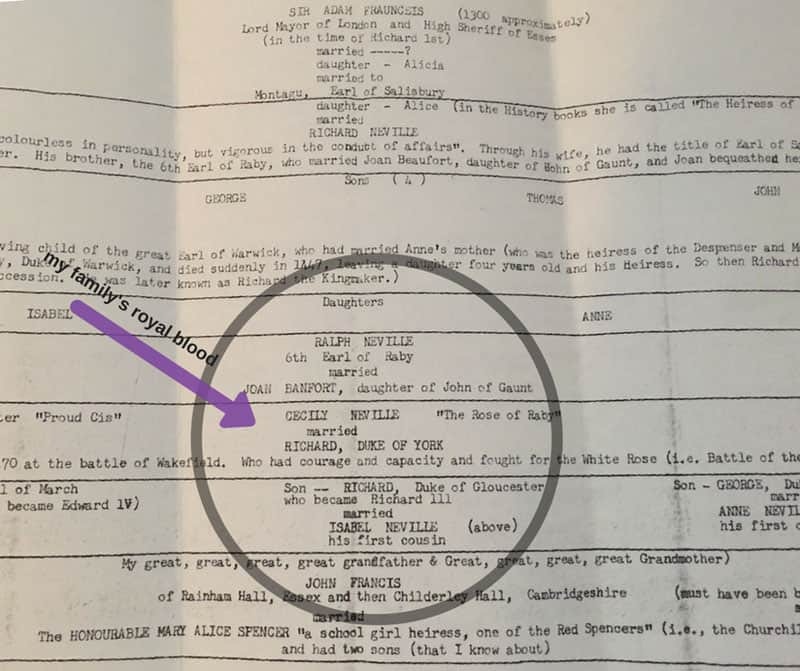 On Dave’s Dad’s side of his family tree, Dave often wondered how he was connected to Scotland with a name like Bouskill. It turns out, the last name Bouskill is from Nottingham England. His great great great grandfather Thomas Bowskill was the first Bouskill to move to Scotland in 1797 and settled in Paisley. To find out that both sides of the family have strong roots in Scotland was quite a surprise. I already knew quite a bit about my mom’s side of the family as her Great Aunt; a scholar at the University of Montreal had a very well documented history put together for us. Ancestry.com didn’t go back far enough to confirm my connection to Richard the Lionheart but I will be putting that into my own tree as I poke around the site more. They did give me the branch that I should follow that will take me to my blue blood roots and perhaps when I am finished I can get my hands on some of that royal money. What I did find out was a lot on my dad’s side of the tree. I knew we were French Canadian and that Corbeil is an old French name, but I didn’t realize just how old. My dad’s ancestor was one of the very first French settlers on the St. Laurence. My first clue came directly from my DNA. 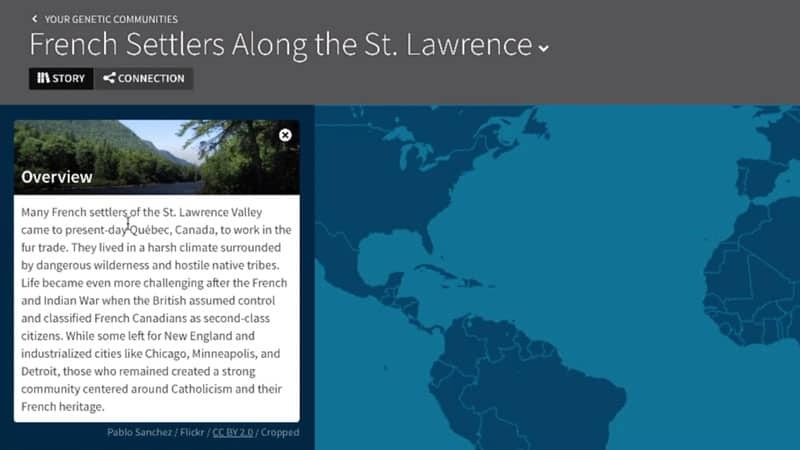 My AncestryDNA test showed that I was part of a group of people, a Community, with genetic ties to early settlers of the St Lawrence River. Then family tree research unearthed more. 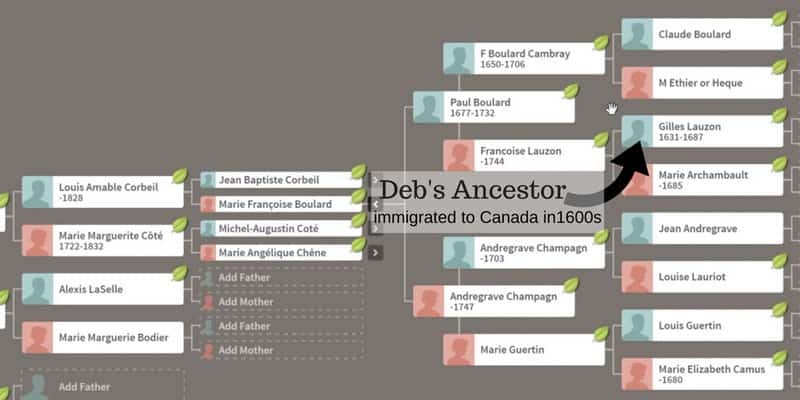 Coming over in 1653, Gilles Lauzon was a pioneer and great-grandfather to Marie F. Boulard who married Jean Baptiste Corbeil. Listening to Gilled Lauzon’s story makes me think this is where I got a bit of my adventurous DNA. The French had a difficult time recruiting people to settle New France back then, so they approached men with skills to populate the new world. He was a coppersmith and his trade would be very valuable. The first crossing was a nightmare as the ship nearly sank and had to turn around. It didn’t make it back to France, but instead waited on an Island in the Atlantic for a replacement ship to come their way. I cannot imagine where anyone would find the nerve to venture into the unknown in such difficult conditions. 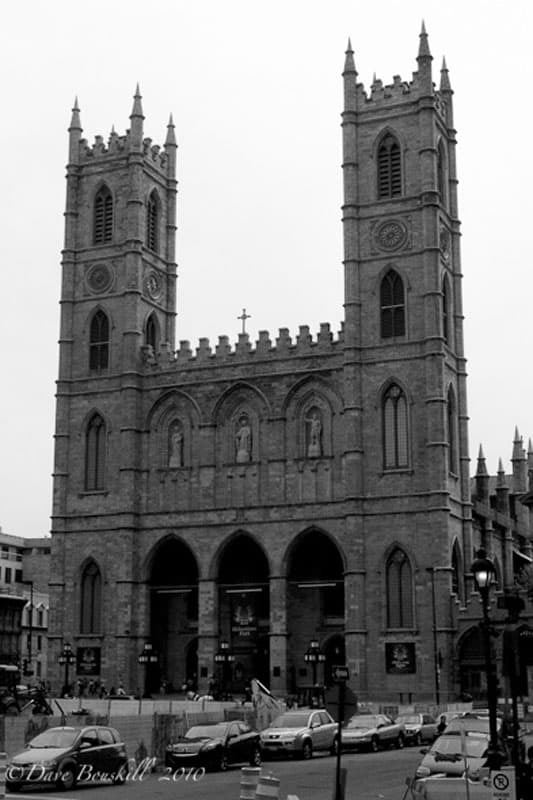 It was then that the ship sailed on to Canada and my ancestor set up a home in Montreal, which today is the sight of the famous Notre Dame Cathedral. I may never have traced any of that myself. I was glad to have an expert researcher help me dig so deep into my past. To know that the Corbeils were one of the first French Canadians answered a lot of my questions. I never said my heritage was France’s French, I always said French Canadian. I thought that odd though because I knew everyone came from somewhere. My family in Canada dates back 400 years and that is incredible to me. While Dave found out he is only second generation Canadian as both his grandfathers were born in Scotland and only came to Canada in the early 1900s, my family has been in the country for generations. 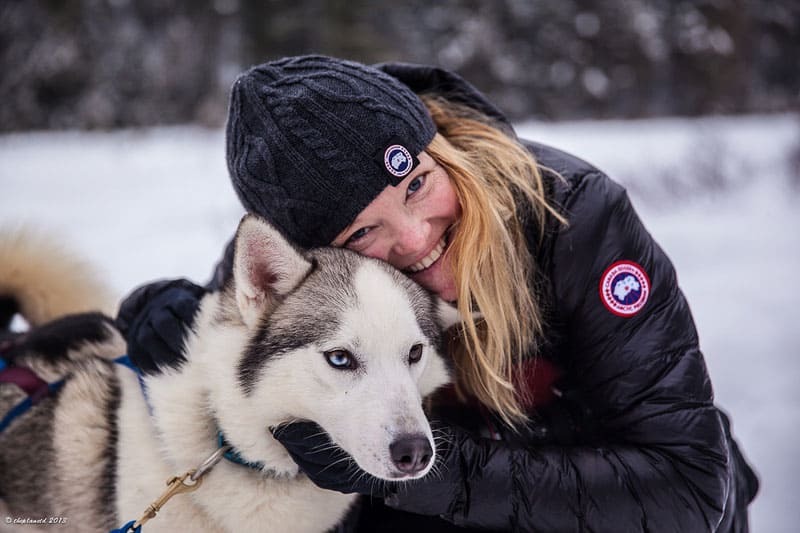 I am a proud Canadian and I loved finding that out about myself. It explains why I am so passionate about my country. It is in my DNA. 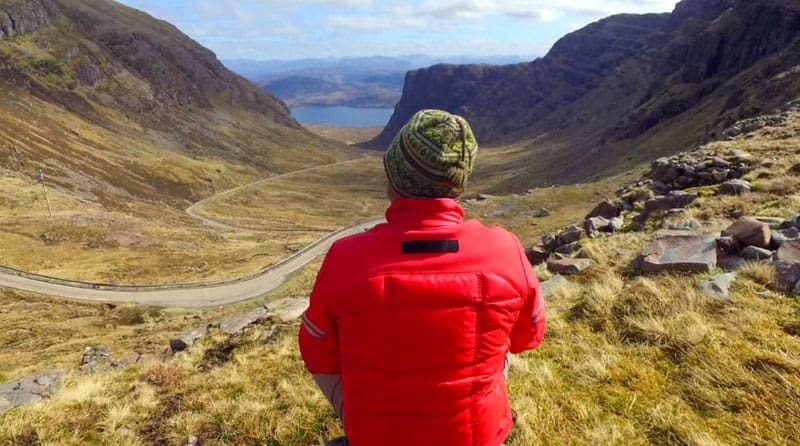 Dave is passionate as well, but I think that he is now fascinated with Scotland and traveling more to other parts of the world where he can explore his roots. To Dave, this is all new. He knew very little of his family history and now he can’t wait to find out more. 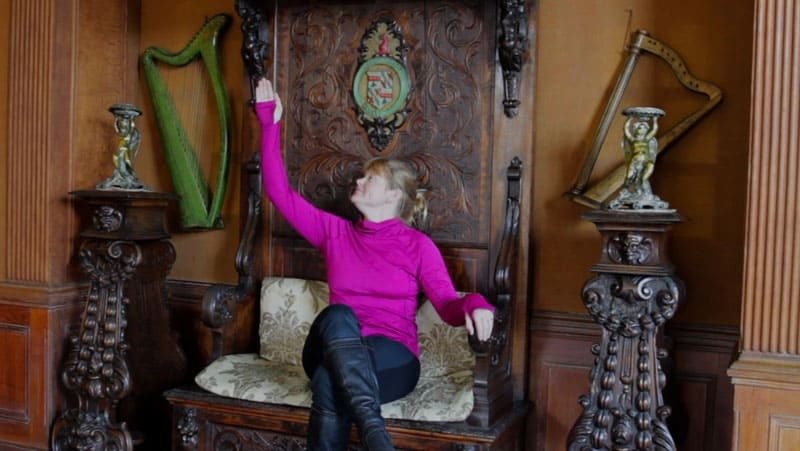 I love the glamour of knowing that my French relatives come from the Champagne region of France and that on my mom’s side I have ties in Armagh, Ireland where St. Patrick himself served as the bishop. It’s no wonder I love Guinness so much, Happy St. Patricks’ Day! While our family trees don’t go back so far to tie us to Scandinavia, our DNA told us so. Ancestry has taken specimens from old family lines around the world and can cross-reference those lines to modern DNA. Our DNA proved to have ties to Scandinavia. When you think about it, it makes total sense. The Vikings conquered much of Europe during their time and for a family with ties to the UK it would be inevitable. I never thought I’d be so involved or excited about finding out my family history. Since having our DNA done, we’ve spent hours scouring our trees in search of long lost relatives. Dave’s cousin on his mom’s side who he never knew existed has reached out to him to connect and we’ve both found connections all around Europe. Now when we travel, we won’t just be visiting a country, we could be visiting family. 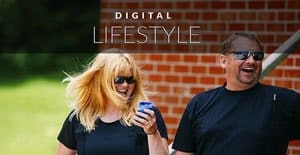 This post and video is in partnership with Ancestry DNA. Like all things on ThePlanetD, opinions are completely our own. 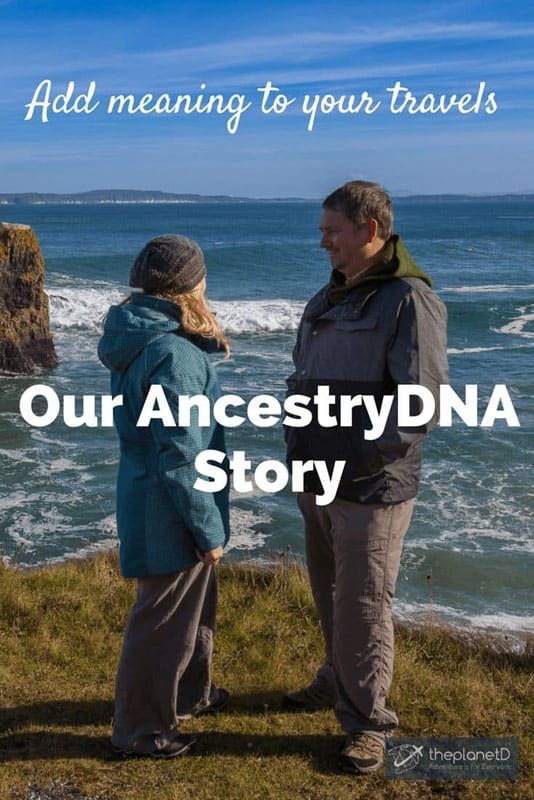 18 Responses to "Our AncestryDNA Story – How a DNA Test Can Add New Meaning to Your Travels"
Wow, just wow – this is really cool. I also want to take this test! I have a feeling that I have some Iranian roots. It’s amazing to see how Dave found his gramdma and discovered the family tree. Very cool. It’s really interesting to find out what roots you have. For us, there were quite a few surprises. 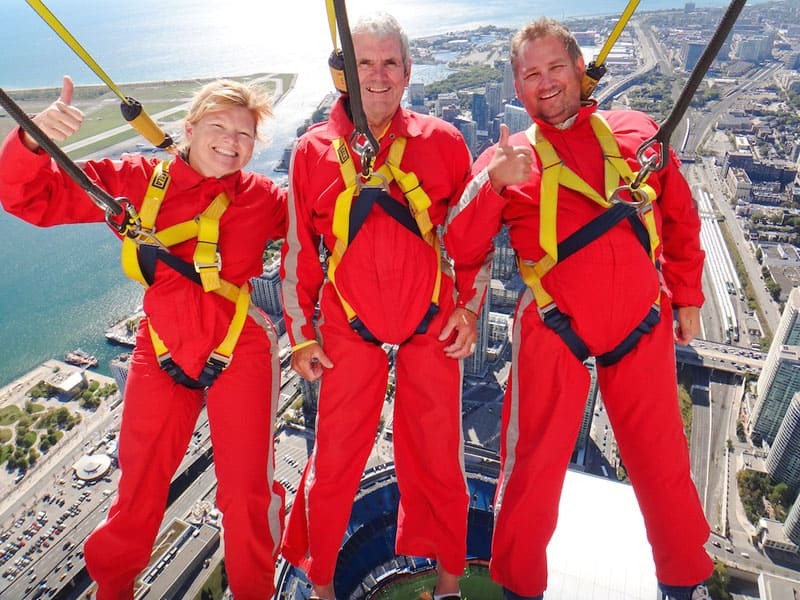 Wow – what an awesome story! Perfect timing to learn about your Scottish ancestry just as you are about to explore Scotland! And so interesting to learn about the Viking ancestry. Would love to try this and find out more about our roots. Your story is amazing as always. A pleasure to read it and thanks for the inspiration. This post is amazing, to think one can find that much about his/her root from DNA testing is incredible! Thank you for sharing your experience. Awesome! I did the 23 and me DNA test. I knew most of my heritage so I wasn’t too surprised. 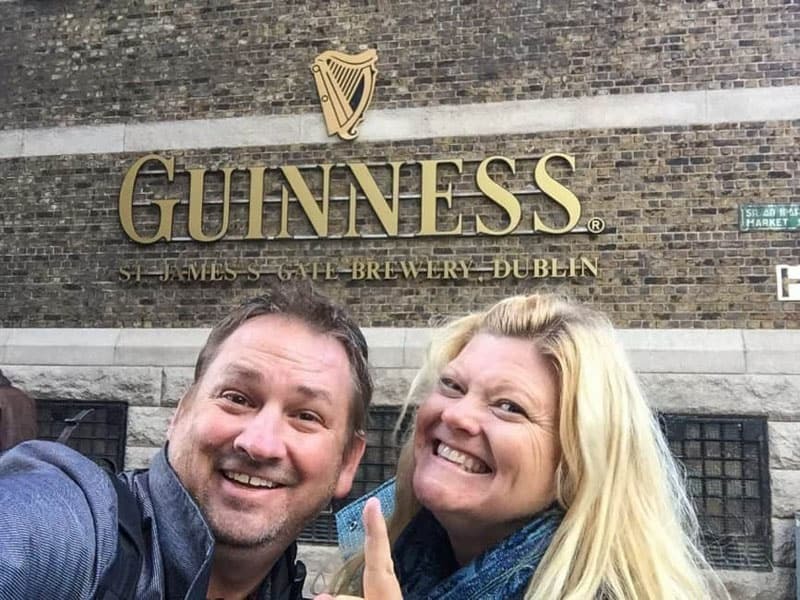 My mother’s family is from Iceland and Sweden-we were surprised to find quite a lot of Irish though! Blame it on the Vikings! Super story! I’ve always wanted to dig in and research my roots and later travel back to the homeland. Thanks for the info, I guess it can be a goal for this year! Oh my goodness, what an incredible story! I don’t know too much about my family history either, only that I have ties to Germany and Ireland. Apparently, my ancestors built the castle used in “Braveheart,” but it was sold forever ago to become what it is now. I guess we also used to have a family sword that my uncle sold for beer and cigarettes. THAT would be something I’d love to track down! Anyway, wonderful post and incredible story. 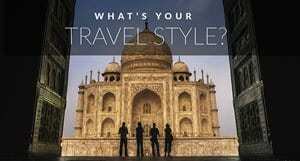 It definitely makes me want to delve deeper into my own history to help choose where to travel to next :). I love your stories! I only know back to my grandparents, and even for them I don’t have a lot of details. So I’m super curious to take the test. A few of my mom’s siblings have red hair, so we’ve always wondered if we’re part Irish, though I know Ireland isn’t the only part of the world with red hair. The family story is we’re French, German, Jewish and Dutch but who knows. My sister already took the test and is waiting for her results. I’m excited to get my test done now too! These DNA data bases are amazing! People are much more connected to each other than we tend to think. I am about 50% Sicilian and I have read that Sicily was an ancient crossroads throughout history due to it’s location. It was also a staging ground for invasions, and people in Sicily are meant to have quite the mix of blood as a result. Now I am more curious than ever. Thanks to you both for such a thoughtful post. What a lovely post! thanks for sharing. I just received my AncestryDNA kit the other day and am looking forward to my own journey of self discovery. I did a lot of family history research years ago, starting with a required 8th grade project then continuing with much research of census records for years afterwards. This will likely add even more depth and understanding to my own northern European ancestry knowledge. Thanks for sharing your heritage stories and how DNA knowledge gives meaning to your lives and travels. Can’t wait to see what I find out, and how it may influence my life and future travels!